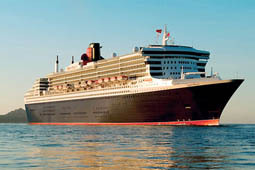 If you’ve heard of the Queen Mary 2, you’ve heard of Cunard and its legacy. 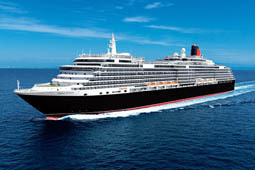 Of course, that’s because the Queen Mary 2 is the regal flagship of the Cunard line. 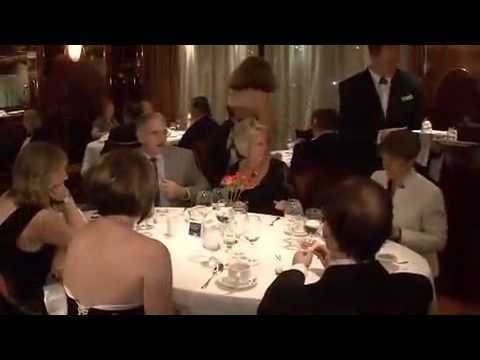 The staff of the ship pride themselves in providing the finest cuisine at sea. 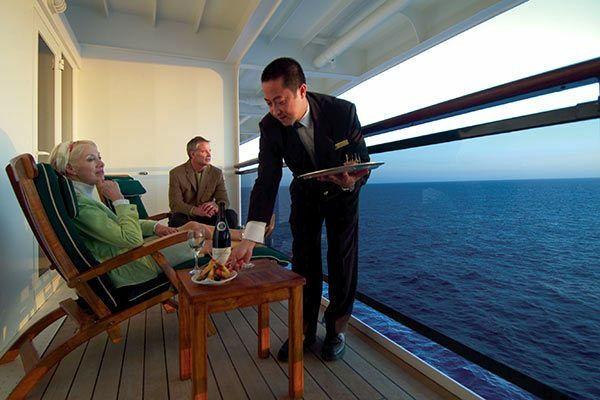 When you sail Cunard, you can expect to savor mouthwatering dishes and extensive wine lists, as well as experience new adventures in cuisine. Fancy a decadent champagne breakfast? 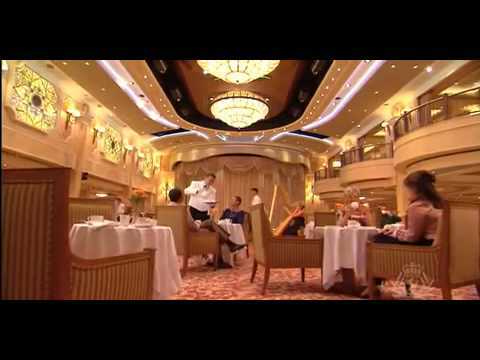 Cunard is one of the world’s oldest lines, and that means tradition reigns supreme. Enjoy Cunard’s renowned afternoon tea aboard a transatlantic voyage to steep yourself in the legacy of Golden Age cruising. 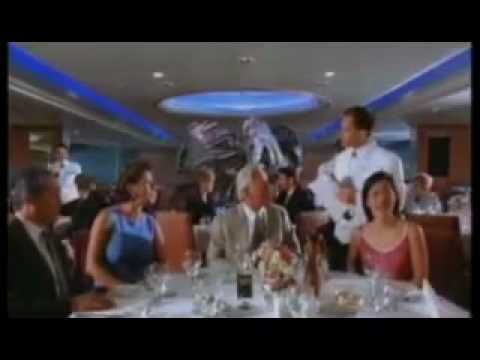 However, these days you’ll also be able to enjoy special Blue Note Jazz at Sea Transatlantic Crossings. How’s that for a blend of new and old? Well-seasoned travelers who enjoy the finer things in life. 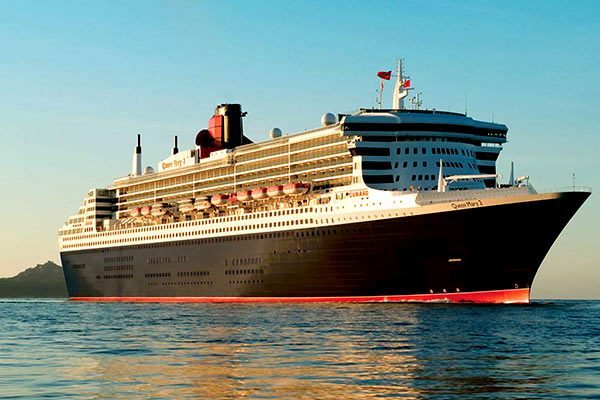 The classic liners attract like-minded guests who enjoy the Cunard hallmarks of impeccable White Star Service, fine dining, sumptuous surroundings, civilised adventure and the legacy of historic voyages and transatlantic travel. 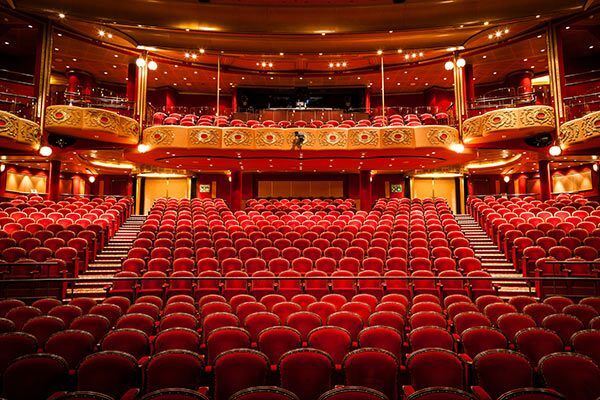 A full programme of daytime and evening entertainment is included on every Cunard voyage. 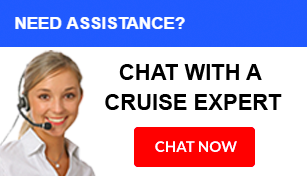 The Daily Programme is your schedule of ship activities and daily entertainment events. 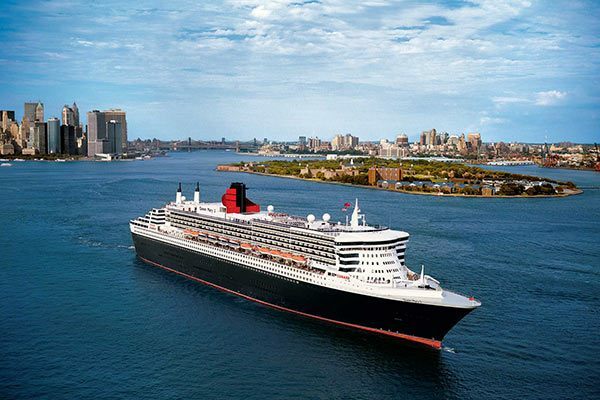 During the Transatlantic Crossings you will spend seven days at sea between Southampton and New York, and you'll even discover that there is too much on offer to fit into just one trip. 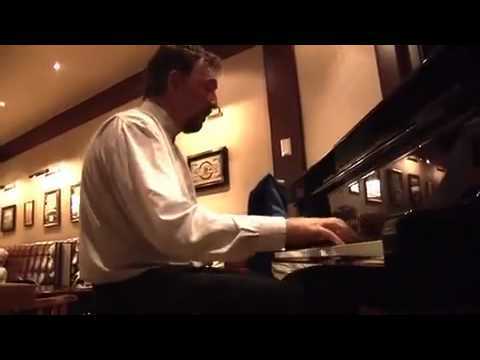 During a night, choose from participating in Dancing, listing to live Jazz or other music performances, enjoying a Theater show, or perhaps relaxing at a Pub. The elegant Empire Casino will set your heart racing as you spin the roulette wheel, play the slots or try your hand at black jack. If you are not sure how to play then take part in the complimentary gaming lessons. You’ll be amazed by just how much there is to do. From deck sports, friendly quizzes and dance classes to fascinating talks and terrific movies, there’s so much to choose from. 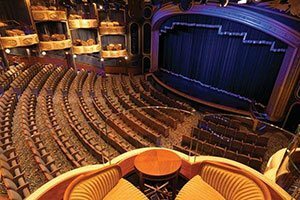 Your ship’s Daily Programme (delivered daily to your stateroom) has full details of all the activities, events and entertainments happening each day. Other activities include: informal talks, port lectures, academic and cultural enrichment programmes, celebrity speakers, computer classes, aerobics classes, sports tournaments, games, quizzes, competitions, as well as concerts, musical shows and cabarets. You can also catch up on movies and play the tables in the casino. 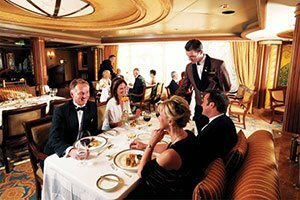 Dining: All of your on board meals are included in the main restaurants or the self service buffet restaurants. A 24 hour complimentary room service menu is also available. 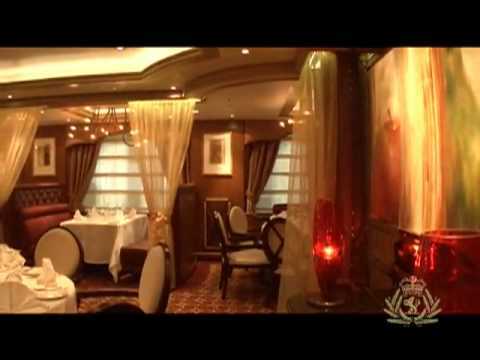 Cunard Line upholds the classic ocean travel tradition of matching your dining experience to your accommodation. Therefore, Queens Grill dining is only available to guests booked into the Queens Suites and Penthouses, whilst Princess Grill is for those guests who choose the Princess Suites. 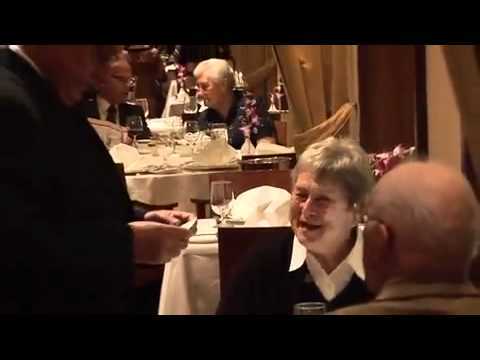 Britannia Club dining is available for AA grade club balcony guests and the two tier Britannia restaurant is the formal dining area for Britannia grade guests. They do not permit movement between the restaurants. 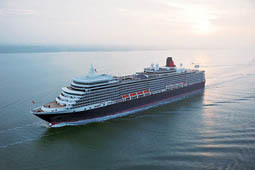 Drinks: Tea, coffee, water and fruit juice are available 24 hours a day at the Lido Restaurants on Queen Elizabeth and Queen Victoria, and Kings Court on board Queen Mary 2. 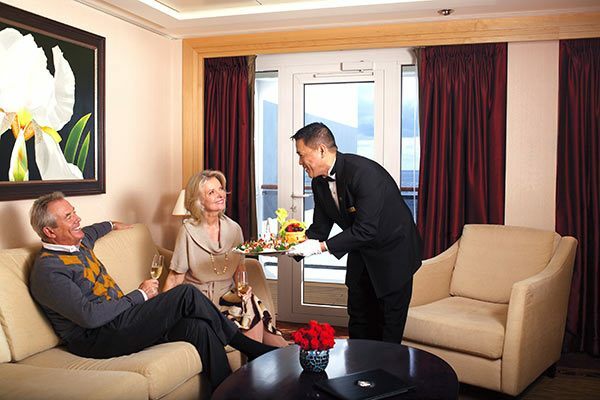 Alcoholic drinks and specialty teas and coffees will be charged to your on board account. All of the ships offer exciting programmes for children and teenagers, aged 2-17 years. The specially designed areas known as The Play Zone, The Zone and The Teen Zone are complimentary and offer a peace of mind knowing that your children are well looked after and can socialise with other young people. Activities which run throughout the day and into the night and offer your children the very best of ship entertainment. Varying every day, the daily programme is filled with a full range of engaging activities and offers something for everyone. All activities are age appropriate for the specific clubs such as arts and crafts, movies, quizzes and scavenger hunts. 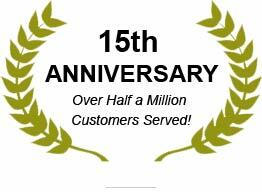 There is also plenty of time to simply relax and meet people of a similar age. Special children’s supper/tea served daily, allowing parents to have formal dinner by themselves. A night nursery is open from 6.00pm to 11.00pm daily and is available to children aged 12 months to 23 months and operates on a first come first served basis. Please Note: The minimum age for children to participate in supervised daytime activities without a parent/ guardian is two years old. 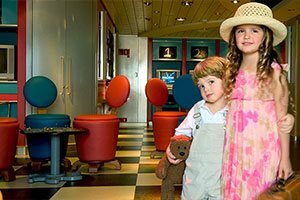 However for families traveling with children under two Cunard encourages you to come and use the facilities and activities with parental supervision. 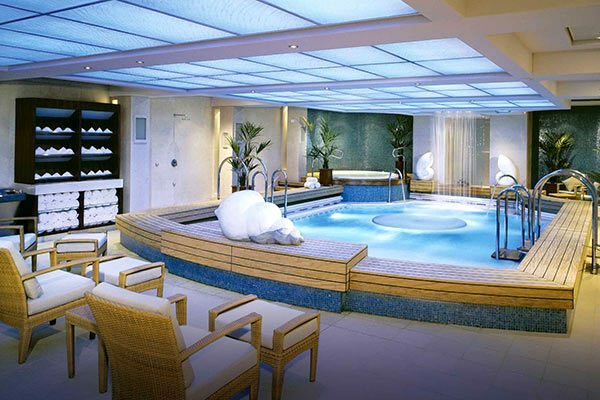 Queen Elizabeth: Whichever shores you seek out in the company of Queen Elizabeth, her Royal Spa by Elemis invites you on a blissful journey thanks to its range of innovative and indulgent treatments, massages and fitness services. Queen Victoria: The Royal Spa comprises breathtaking ocean views, relaxation areas, beautifully appointed treatment rooms, indulgent therapies and a panoramic glass encased Fitness Centre. 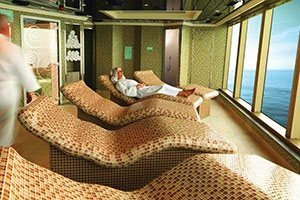 Queen Mary 2: Enjoy the ultimate in pampering and wellness at the exquisite on board Canyon Ranch SpaClub®. Indulge in signature Canyon Ranch massages, treatments and facials from the classic Canyon Stone Massage or Rasul Ceremony, to exotic Ayurvedic or Thai treatments. All Cunard ships have complimentary fitness centres with state-of-the-art equipment to help you keep fit whilst on board. Choose from a range of activities from relaxing Yoga and Pilates sessions to the more energetic Aerobics or Spinning classes. You may choose to play golf, tennis, fencing, jogging and more.